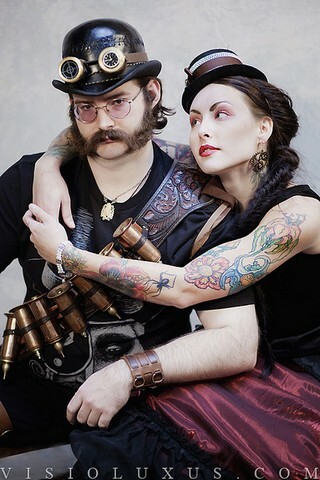 I have done a few things that were steampunk inspired and quite a few people have commented on how my designs would fit right in with the steampunk crowd and groups. 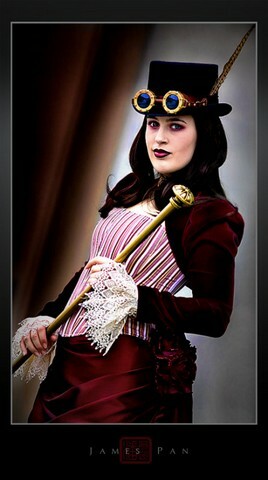 As of yet though, I have not done a complete steampunk outfit or head to toe look. Well, that is about to change! This past weekend, my mom had a yard sale and I attended for the day to help her out and to try and unload a few dust collectors myself. Some years ago, my mom underwent back surgery and had a custom back brace made to aid in her recovery. 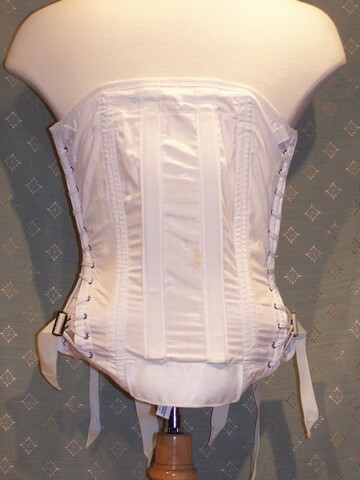 The back brace was one of the items she was selling at the yard sale with the thought that perhaps it might fit someone else who would have need or use for it. I had never seen it before and when I did see it as we were setting up for the sale, with my mom’s blessing, I took it! It looks like an old corset of some kind and there is boning in a few of the seams as well as metal bars in the channels of the back panel. 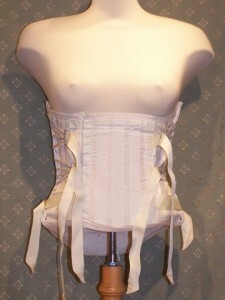 It was the perfect, ready made corsetry base for my steampunk ensemble and my heart jumped when I saw it! I have posted some pictures here so you can see what it looks like now before I work my magic, which has already begun as yesterday I soaked it in a strong tea bath to age the colour. It turned out perfect and looks really old and authentic to the style of fashion I will be working it into. For those of you who may not be as familiar with what the steampunk genre is, here are a few photos and some information to further define this culture and style. Steampunk fashion is rather hard to pin down to a single definition. It tends to be historical garb, usually from around the 19th century paired with more contemporary pieces and results in beautiful and unusual combinations of items such as black combat boots, calico bloomers, a white lace corset and a black flannel shirt. This highly eclectic and historical style is the ultimate blend of influences. From clothing to accessories, steampunk is the perfect mesh of old world style and modern innovation. 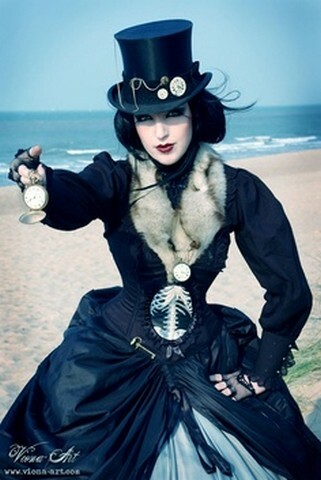 The “steam” part of steampunk fashion refers to the good old days of steam ships, long voyages and exciting explorations. Sometimes the Victorian era is so influential that entire outfits are re-created and worn. Steampunk style uses more than just the Victorian era for its design elements. There may be a little medieval, goth and gypsy fashion elements too. 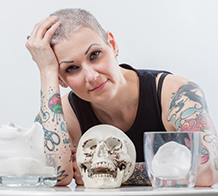 Industrial, urban or outright punk flare can also be thrown into the mix. In fact, there is really no limit to the types of fashion you can use. 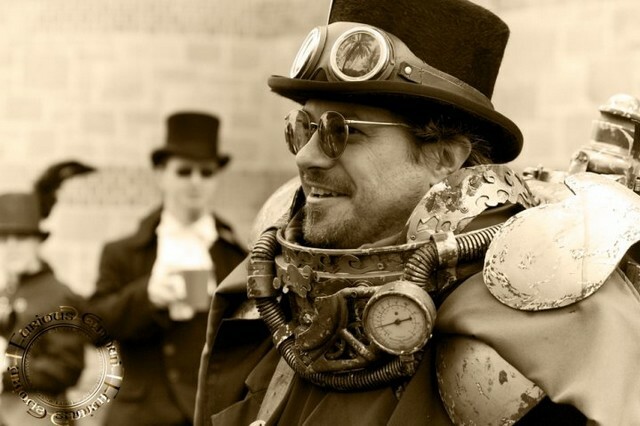 In loose terms, any historical and technological pieces paired together can be steampunk fashion but, steampunk is also more than just clothing. It can be used for home décor, electronic devices and even automobiles. A computer can become steampunk with just a few alterations – try a custom made, old-fashioned keyboard, if you can afford it. You can even tuck your cell phone into a brass cover that looks like an antique cigarette case. 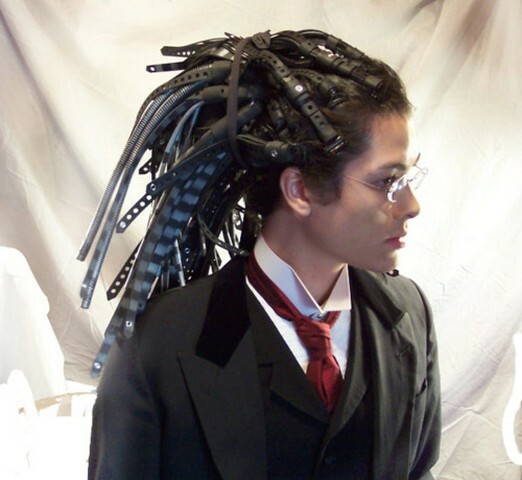 However someone may specifically define steampunk, there is no doubt that it is an interesting blending of fashion that is gaining popularity. It is never bland, pedestrian or common, always very personal to the individual, creative and unusual. It is usually structured and embraces every form of artistic expression. For the film buffs out there, a few movie titles that have been inspired by or include the steampunk genre are Van Helsing, The League of Extraordinary Gentlemen, The Golden Compass, Sleepy Hollow and 20,000 Leagues Under the Sea. So now that you know a little bit about steampunk and have seen the wonderful piece gifted to me, I hope you will stay tuned for the posting before summer’s end of my finished steampunk design. The finishing touch will of course be, as always, a hat! Sorry, Diann. I am in Canada and would not know. I would find a top hat or other riding inspired hat I like and add veiling to it myself if I can’t find what I want. Hope that helps somewhat.